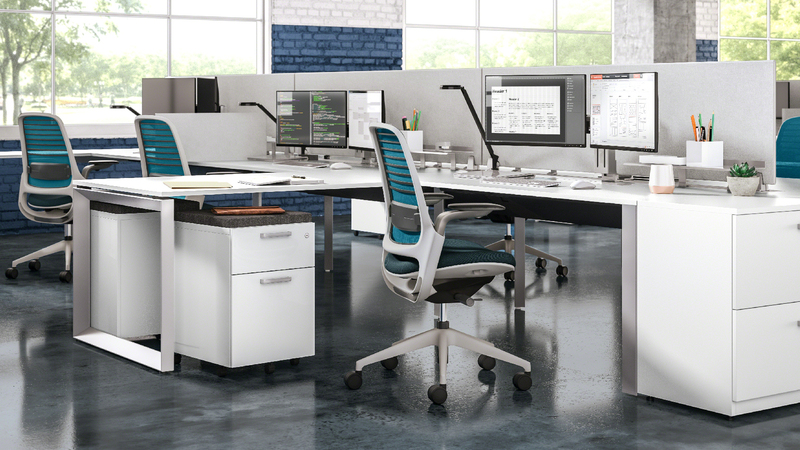 Steelcase Series 1 with integrated LiveBack™ technology, adaptive bolstering and 4D-adjustable arms delivers ergonomic performance and quality uncommon to this class of seating. Designed with a lightweight, slim profile for today’s smaller office footprint, Series 1 offers uncompromising comfort and all-day support. 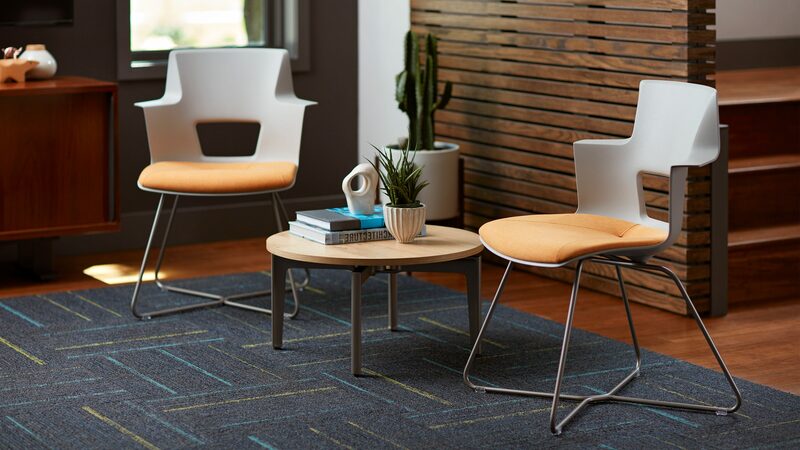 With 11 mix-and-match knit, flexor and lumbar options, an extensive range of fabrics and optional headrest, Series 1 makes an impressive statement in any space. The Series 1 backrest boasts integrated LiveBack™ technology. Interdependent flexors bend and move with the user to support the spine throughout the day. Soft curved arm caps maintain forearm support and remain comfortable whether sitting upright or reclined. 4D adjustable arms allow for easy pivots as well as personalized height, width and depth settings. Series 1’s intuitive adjustments fit a broad range of users, making it easy to use. A wide range of colors, fabrics and finishes make it easy for companies to put their brand on display in the office.